Funding for the Center was raised primarily through private donations, in tandem with the overall Musicians’ Village project. Pate reports “In addition to the almost 70,000 volunteers and donations from around the world, both the Center and the Village have received tremendous support from the Dolan family and Madison Square Garden, the Dave Matthews Band, Warner/Nonesuch Records and many others in the music community.” The Dave Matthews Band Musician’s Lounge has been named in acknowledgment of the group’s support; one classroom will be named in honor of Moe Dallolio, a big band musician in New York who became a Long Island music educator, and whose family is helping to fund programming at the Center; and Hurwitz Way, in the Village’s neighboring Toddler Park, is named for Robert Hurwitz, President of Nonesuch Records. Further support will come from American Girl, which is celebrating the debut of two New Orleans dolls, Cécile Rey and Marie-Grace Gardner, with the release of the song “A Lot Like Me” by Connick’s 13-year-old daughter Kate Connick. All proceeds from sales of the single will benefit the Center. 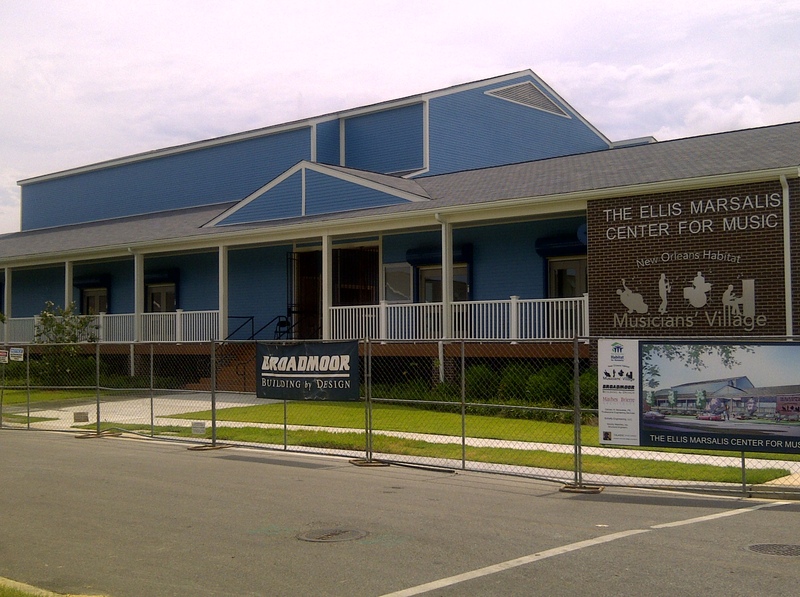 With the Center as his base, Ellis Marsalis will ensure that these lessons are also learned by younger generations, and that the artists of all generations who reside in Musicians’ Village, the Ninth Ward and the rest of New Orleans have a dream home in which to realize their creations. “When we announced the Center,” Branford recalls, “my father showed no emotion at all; but two hours later he was on the phone, talking about the Center’s potential and what had to be done to make it live up to that potential.” That potential is about to become a reality that New Orleans and the wider musical world can celebrate.